The 2018 National Settlement Services Summit (NS3) is brought to you by the following sponsors. Without their generous support, NS3 would not be possible. We are extremely grateful for their help in hosting this event! SoftPro is the nation’s leading provider of closing, title and escrow software, offering cutting-edge technology and outstanding support to make your business more efficient and profitable. SoftPro’s award-winning software is flexible and fully customizable, produces residential and commercial closings, provides automation capabilities, hosted and on-premise installations, endless integrations with vendors and underwriters and so much more! Contact SoftPro to see a FREE demo of our award-winning software today! 800-848-0143 / Sales@SoftProCorp.com / www.SoftProCorp.com. Fidelity National Title Group is a leading provider of title insurance, escrow services, education and technology, and the nation’s largest group of title insurance companies and policy issuer. Our local agency teams are title and underwriting experts that know local markets, the local real estate laws and customs, and the business needs of our title agents to thrive in this ever changing real estate market. Only NextAce delivers automated Title reports in minutes. Since 2003, and over 9-million orders, NextAce has only been available to the largest underwriters. Starting April 1st, title companies, agents and attorneys of any size can sign-up online and start processing orders in minutes – regardless of volume – and achieve the same cost-saving advantages. Find out how #TitleAutomation completes most of the search and examination in minutes before any human touch, including Instant Title for qualifying orders, at www.nextace.com. CertifID is a service for real estate, mortgage and title industry professionals to verify the identities of parties in a transaction and securely transfer bank account credentials. For under $10, CertifID guarantees each wire transfer up to $500,000 against fraud. ZOCCAM streamlines the real estate transaction by enabling the parties to utilize ZOCCAM’s mobile Remote Capture to send documents and funds to the title company. Built by executives from a Top 5 lender and title company, we transform the signing service experience with dynamic vendor management and signing services by our vetted network of notaries. 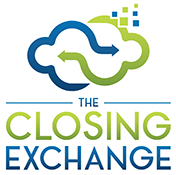 The Closing Exchange has unmatched quality and coverage – investing in screening, training, and testing all signing agent partners to ensure familiarity and experience with industry- and customer-specific requirements. AmTrust Title offers next-level customer service with a dynamic team approach, backed by the deep financial resources of AmTrust Financial Services, Inc. (AFSI). Headquartered in Manhattan, our focus is the accurate and efficient provision of title insurance to real estate owners, law firms, managers, global investors, hedge funds, developers, REITs and lenders. The agency’s prime objective is to provide transactions that close successfully. Signature Closers provides full- and self-service signing support for title companies and lenders via our vetted, compliant, eNotary-capable network of notary signing agents and attorneys. The SYNC platform, built on Signature’s 7+ years of full-service signing management best practices, provides the most robust, configurable, transparent, ResWare-ready, and cost-effective solution for companies looking to automate and manage signings in house. A.S.K. Services, Inc., headquartered in Plymouth, Michigan, is a rapidly growing title support firm. We have established ourselves as the leading provider of integrated typed search reports, closings and recordings across every county in Michigan, Ohio and Indiana. Since 1990 title agents and underwriters alike have relied on A.S.K. as their source for comprehensive, technology-enabled title solutions. Exacta is one of the nation’s premier real estate solutions companies adding value to our clients in the real estate industry. Our professional staff is committed to delivering accurate and timely land survey, lien search and estoppel reporting services to meet the needs of our clients at competitive prices. Beyond land surveys needed for the real estate transactions for buyers, sellers, title companies, lenders, attorneys and real estate agents, Exacta performs all types of commercial, construction and ALTA/ACSM Surveys as well as lien search and estoppel reports. Exacta is your one-stop land survey provider. viaLOK is an easy-to-use and cost-effective tool that prevents wire fraud in real time. The technology is complex, but the idea is simple; It only works where you are and only on your own device with proper credentials. The patented technology uses multi-channel communication, digital fingerprints, and an evolving risk engine to protect private information and secure money transfers. ProcessFast is a technology company that helps clients operate more profitably and efficiently. Its main offering, Ops Insights, is a BI and report delivery platform complete with a library of ready to use base reports for title agents. Ops Insights makes it easy for business and non-technical users to extract useful insights about their business without utilizing a business analyst. Streamline your signing process with NotaryDash! A turnkey solution that will take the effort, stress, risk, and uncertainty out of the notary signing process. A system designed by industry experts for use by professionals seeking a system that will do the work for you most efficiently and effectively. NotaryDash meets or exceeds ALTA’s best practices by verifying notary credentials, securing document transmittal, etc. BuyerDocs is the world’s first simple and secure method exclusively for sharing wire transfer information between title companies and their clients. Our unique, no-registration login makes BuyerDocs the preferred solution for securing wire documents by homebuyers and title companies. ShortTrack makes getting new title orders easy by enabling Realtors to place orders directly from their software (Dotloop, zipLogix, DocuSign TR) into your title software. The orders and documents just show up! ShortTrack is also a portal that encrypts both data and documents, so you can securely deliver wire instructions and all NPI. Additionally, ShortTrack offers customizable seller/buyer forms & a DocuSign integration to e-sign pre-closing documents. Stop by booth #220 for a demo! Entrinsik Informer is a highly rated, web-based Data Discovery and Analytics solution enabling your title business to collect, integrate and analyze data regardless of where it lives. Intuitive, easy to use analytics and interactive dashboards readily available for all types of users, from processors to team leads to executives. For a free trial, contact sales at informersales@entrinsik.com or call 888-703-0016. DocMagic, Inc. is the leading technology provider of compliant loan document preparation, eSign, eDelivery, eVault and eClosing solutions for the mortgage industry. Founded in 1988, the award-winning company has developed and integrated all of the necessary components to create a truly seamless, end-to-end, paperless eMortgage platform. 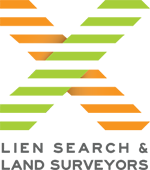 DocMagic’s collaborative closing portal offers lenders and agents a secure environment for TRID compliance and UCD generation and delivery. For more information go to www.DocMagic.com. FieldChoice is the nation’s most trusted full-service signing company. Our powerful proprietary technology seamlessly aligns with your business for an error-free signing process. Automated management monitored by experienced staff gives you unparalleled insight and control. FieldChoice provides security and complete signing management so you can focus on your own business. Leave the signing to us! Visionet Systems, Inc. is a leading services provider to the Mortgage, Title Insurance and related industries. Through its digitally powered outsourcing services and technology innovations, it helps title businesses transform their operations and scale their business effectively. Visionet has two decades long track record of successful projects and it’s technology products complement its top of the line mortgage & title outsourcing services. Old Republic Specialized Agency Solutions (ORSAS) manages the title, settlement and valuation process across the nation, allowing title agents to close more loans while expanding their service areas. ORSAS services increase capabilities and market areas for both local and out-of-state transactions, and we provide end-to-end solutions that can be customized with individual service components that complement the agent’s existing infrastructure. At SafeChain we believe that property transactions should be seamless and completed within a matter of seconds. The groundbreaking application of blockchain technology within the software behind SafeChain will prevent fraud in real estate transactions. SafeChain has the ability to disrupt the age-old methods of how property transactions have been completed traditionally. We provide services for title service offices, mortgage bankers and realtors. The Digital Closing Package is an innovative pre & post-close technology that is designed to keep all parties informed of milestones during the closing process, provides a secure repository for clients to view their closing documents, and perpetuates a post-close marketing system that keeps all parties in front of their clients for many years to come. SMS is focused on big ideas and customer-focused innovation for 2018 and beyond. Our three-part approach to better serving your business includes; (1) industry-leading customer support; (2) high-quality enhancements on a quarterly basis; and (3) good value for current and future customers. Learn about our latest software integrations, and see how customers are benefitting from our best-in-class customer service technology for title and settlement software. We at Notaries To You are committed to excellence in every step of the signing process. Our scheduling staff is experienced in escrow, title, and lending, and is ready to overcome any challenge to get the job done. We are available 24 hours a day, 7 days a week, 365 days a year, with a growing database that contains over 10,000 qualified and professional notaries nationwide. NotaryGO is the leader in national signing services with vast history, experience, and technology driving our success. NotaryGO offers seamless integration with the industry’s top title software platforms. Utilizing a robust proprietary software, NotaryGO offers automated signing management including eBookings and real-time status updates throughout the entire signing process. Dedicated to quality and service, NotaryGO is available 24-7 providing 100% signing management and most of all communication. Experience the difference with NotaryGO! Sharestates is a real estate investment marketplace that allows individual and institutional investors to participate in rigorously vetted debt offerings. All of the offerings on Sharestates’ platform have passed through a 34-point underwriting process. Founded by Allen Shayanfekr and real estate veterans, Radni Davoodi and Raymond Y. Davoodi of the Atlantis Organization, Sharestates has combined proprietary technology with a proven track record of business development expertise to become the fastest growing real estate crowdfunding marketplace, doubling every year since its 2015 launch. For more information, please visit https://www.sharestates.com. SLK Global Solutions is business process transformation enterprise delivering comprehensive products and solutions driven by technology for Title insurance, mortgage, banking, cards & payments & lender placed & specialty insurance industry. Founded in 2001, our team of 3,000+ experienced professionals support our 100+ title & tax customers including 3 of the top 4 national title insurance underwriters in the U.S.
Flagstar Bank is a $17.7 billion-dollar-asset savings bank headquartered in Troy, Michigan. Flagstar operates 99 bank branches in Michigan and eight in California. It is the nation’s fifth largest bank mortgage originator and a leading servicer of mortgage loans, handling payments and recordkeeping for $104 billion of home loans, representing over 470,000 borrowers at March 31, 2018. In 2017, Flagstar originated $34.4 billion of mortgages. Amrock Inc. is the nation’s largest independent provider of title insurance, valuations and settlement services. The company is a preferred provider to nine of the top 10 mortgage lenders and delivers innovative solutions to streamline the real estate and mortgage financing experience for lenders, property owners and real estate professionals nationwide. The company, along with its 2,500 team members, is headquartered in Detroit and maintains regional operating centers in California, Ohio, Pennsylvania and Texas. Charles Jones (formerly Signature Information Solutions) is the premiere provider of products and services to meet your title search service needs in NJ and PA! Our due diligence services include the Charles Jones Statewide Upper Court Search which has been an industry standard for over 100 years. 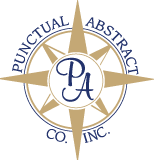 Our comprehensive suite of products also includes Tideland Searches, NJ Tax and Assessment Search, PA Tax Certifications, Patriot Name Searches, and NJ County Searches backed by our unique title plant technology. Let us take the worry out of searching and visit us online at www.signatureinfo.com or call us at 800-792-8888. American Land Title Association – We Lead. We Deliver. We Protect. ALTA Membership provides Advocacy, Education, Communications, Networking Opportunities, and Business Tools. ALTA is your forum to discover innovative ideas and trends in order to help ensure your business is protected and that you have the very best opportunity to succeed during this dynamic business and regulatory environment.